They give me fantastic variety of expressions and the boys gave me good ears and the most expressive of eyes we could have asked for. We are so excited to to share with you a few excerpts from today's adventure! 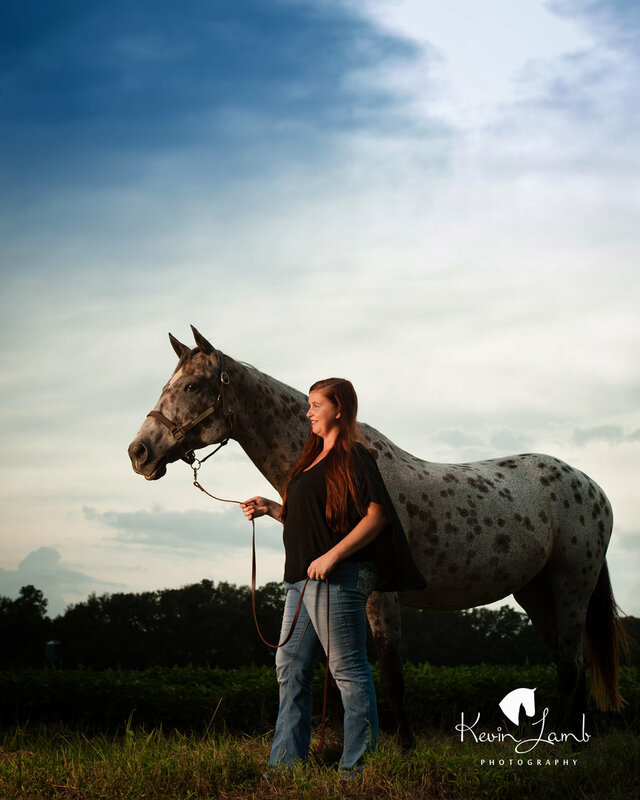 Of any of our Equestrian Model shoots, I was certain we were going to get rained out on this one. On the way to the session it was black clouds and sideways rain. Upon our arrival at the plantation however, it was overcast and 80 degrees. The weather didn’t dampen the spirits of this young rider. This Photography session was quite the family affair, we had parents, grandparents & hair and makeup friends to make sure all things went as best they could. Missy, Hannah & I are very appreciative for all the hands on deck. We believe the results are absolutely worth all the work! 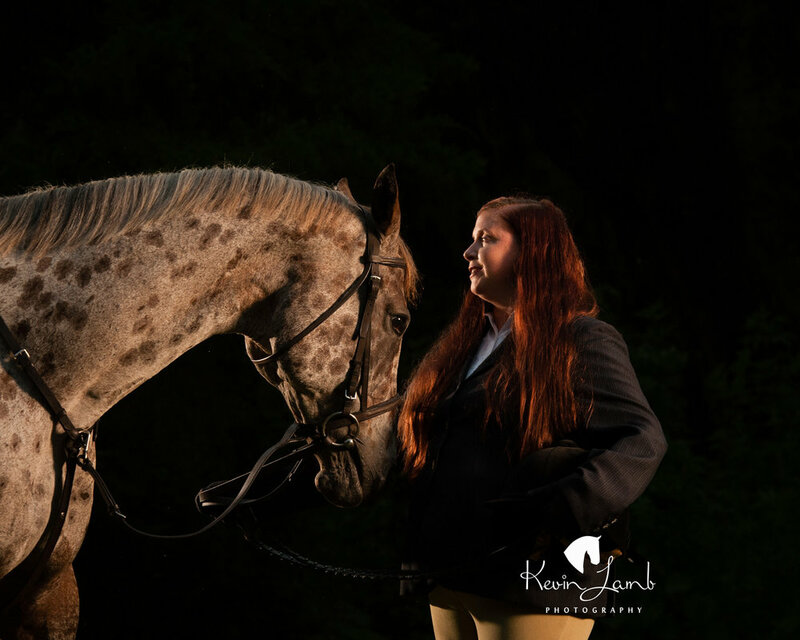 Please enjoy a small sampling from this Equestrian Portrait Session. 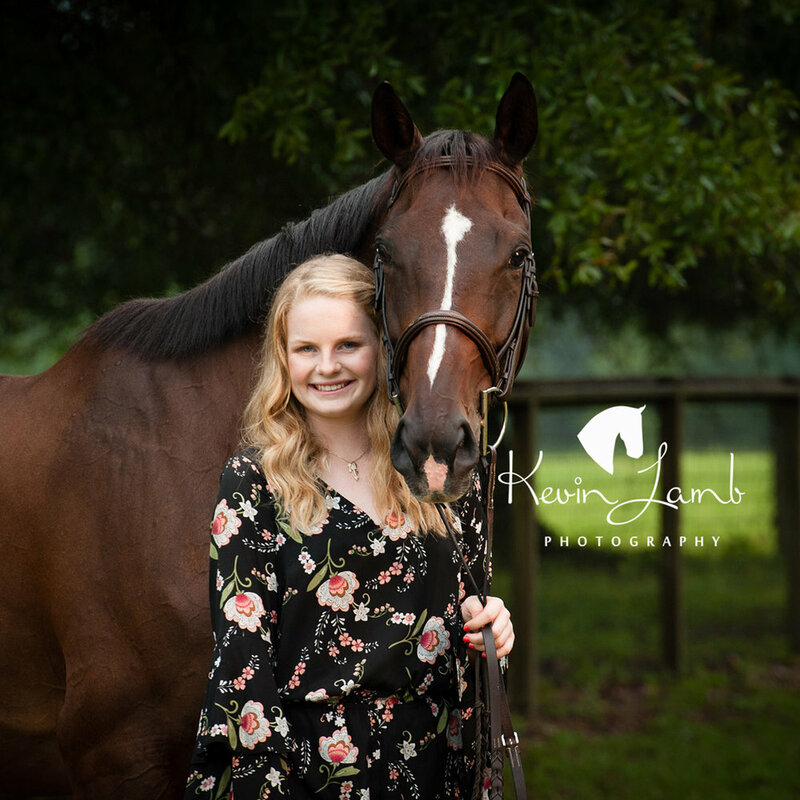 On the Kevin Lamb Photography 2017 Equestrian Model entry form we ask our entrants for a couple sentences about them & their horse. It is so helpful to Missy, Hannah and I to know this before we arrive to our photographic session. By studying the entry form we actually feel as if we have already met. 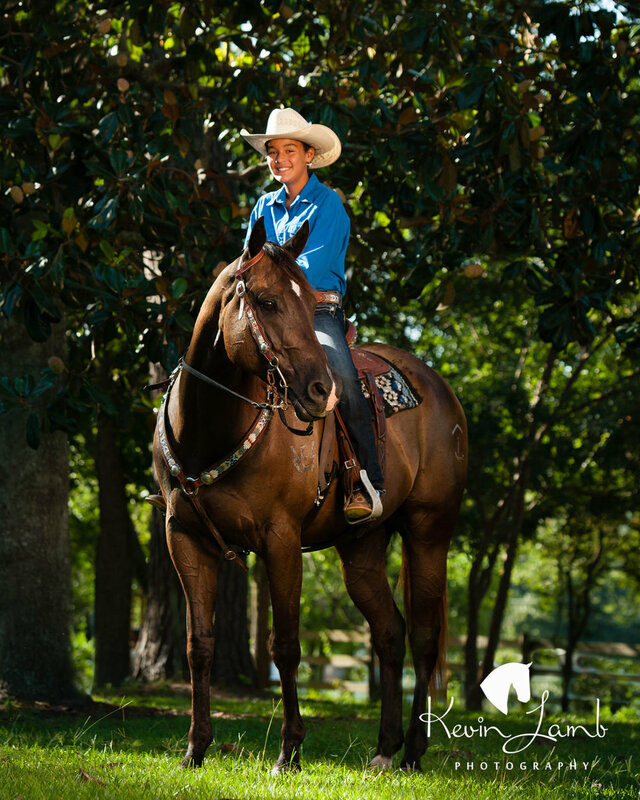 Sophia our 10 year old model had this to say about her horse "I have had Rascal for 2 short years and in that time we qualified for Finals in our first year with Southern Junior Rodeo Association and finished in 6th in poles and 7th in barrels and qualified for NBHA youth world in Perry GA at the end of this month. 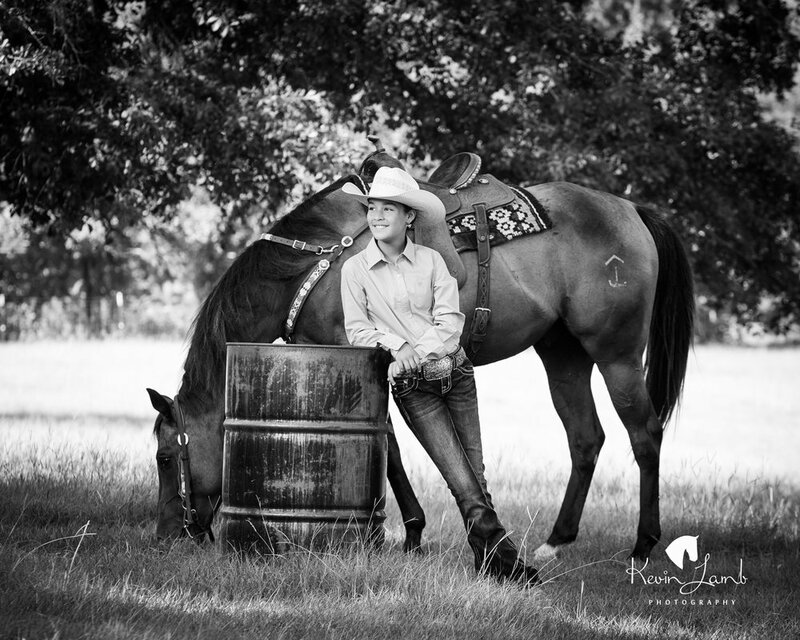 Rascal is not only my competition horse but my best friend!!" Having this in mind while making images takes it to an entirely different level. 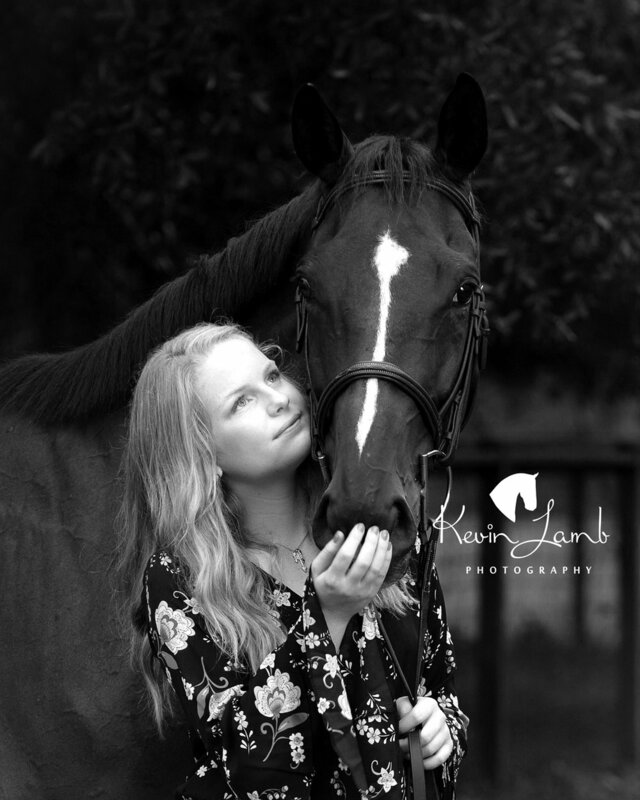 We’re not simply making images of a beautiful young lady & her Quarter Horse, we are photographing Best Friends and that“no words needed” bond between her and her best friend. 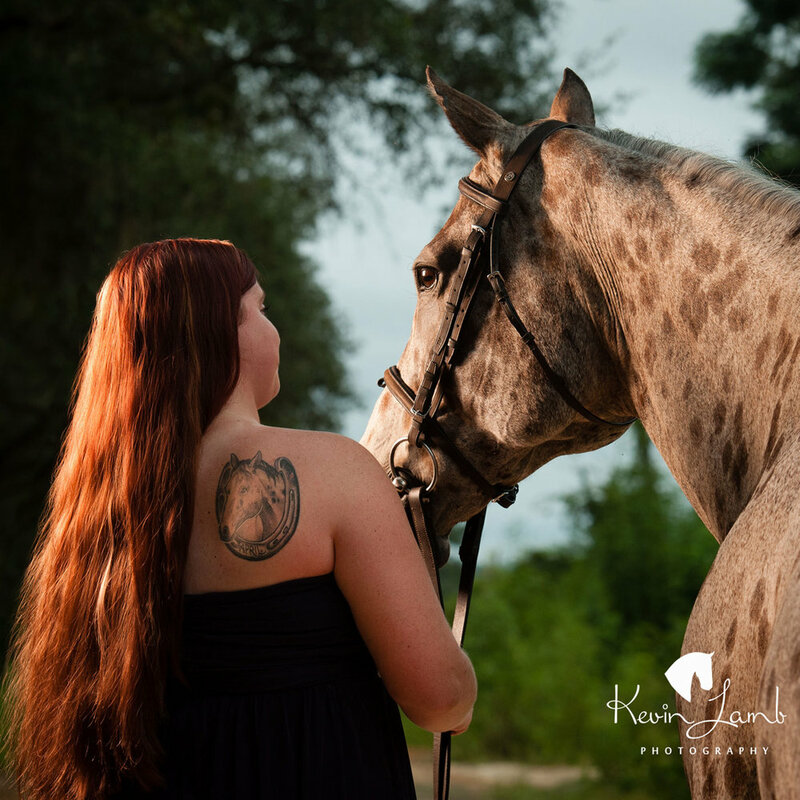 Its up to the Kevin Lamb Photography Team to tell this story with images. Missy & Hannah roll our trunk of Nikon cameras, lenses, Elinchrom flash gear, light stands and Westcott SoftBox's all over fields and paddocks to make sure we are not limited by any technical restraints.